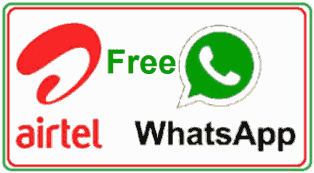 Airtel Nigeria introduces Whatsapp customer support service for its users. You can now chat with their customer service consultants live on Whatsapp. The service is aimed at helping users find quick solution and answers to their queries. For me Airtel is still the best when it comes to customer care service. I usually find their support services very friendly. We are hoping that other networks in Nigeria would adopt this very customer service. To use the service, kindly add 07010000117 or 07010000116 or 07010000119 as a Whatsapp contact. For inquiry, simply send the number message on Whatsapp after you have added it. Don’t forget that Airtel has other customer care services apart from the one mentioned above. There is an online platform where you can get quick support service on Airtel. You can also send them an email at [email protected] If you are on Twitter, you can send them tweet at @airtel_care or @AirtelNigeria. You can as well call their customer care number. Below are Airtel customer care numbers which you can call any time at a zero cost: 111, 121, 234-802-150-0111 or 234-802-150-0121. 111 and 121 can only be reached with an Airtel sim. If you want to call them with a different network you should call 234-802-150-0111 or 234-802-150-0121, regular call charges are applied. If you want to use this Airtel service you should consider the following tips. Don’t message them when you don’t have any relevant question to ask. Go straight to your point, don’t bother asking anything outside what you are looking for. Use English as your mode of communication. Using any other language other than English may prevent them from replying your message. When you send your first message, wait for them to reply before you send another one. I hope that this article helped! Do you know how to Get Airtel 1.5Gb for N500 and 400Mb for N200? If you don’t please click the above link to read.